Marvel Comics has announced a new Black Widow series launching in early 2016, from the Eisner Award-winning creative team of writer Mark Waid, artist Chris Samnee, colorist Matthew Wilson and letterer Joe Caramagna. 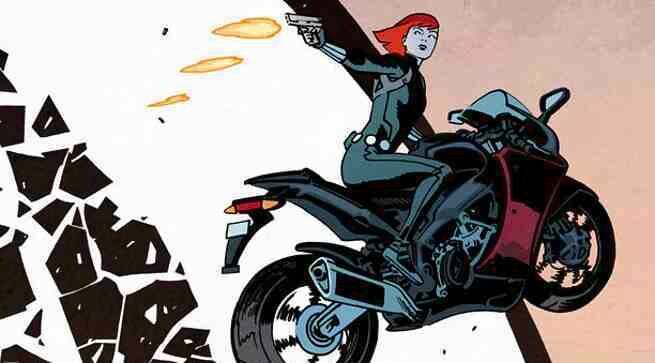 Speaking to Entertainment Weekly, Waid and Samnee say the new Black Widow will not be a direct continuation of Nathan Edmondson and Phil Noto’s recently concluded run, but will grow out of that series and all of Natasha Romanov’s history. It’s similar to way we approached Daredevil, in that we’re not picking up specifically from the end of the previous issue or specifically from any one moment,” Waid explained. “But we’re acknowledging that, and making use of the fact that what happened in the previous series happened, and using some of that stuff as a springboard. And it is, by Marvel time, at least eight months later. It’s not the next day, anyway. Especially in issue 2 in particular, we’re sort of spring boarding off of some of the previous events, but not so specifically that anyone should feel like they’re missing anything if they didn’t read the previous run. “It’s not a necessity to have read the previous series. Certainly, it wouldn’t hurt, but you should be able to jump right into this one,” added Samnee. Take a look at the gallery below to see Samnee’s full cover to Black Widow #1 and some concept art for his Black Widow design.